Happy Monday everyone. Hope this week is a good one for you. this challenge is perfect. to show how much I love my Hubby!! 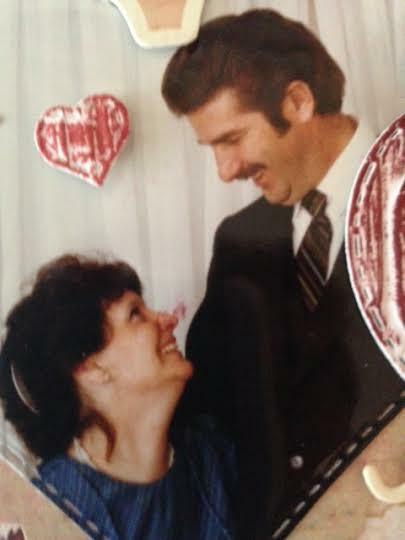 Coming up on 33yrs married in March, and 35 yrs together last month. Enjoy playing along in all challenges, and I love creating my cards. 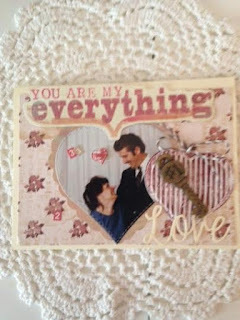 I used cream card stock a printed card stock a old pic from our 5th Anniversary I added a Tag "YOU ARE MY everything" I used my heart dies and a key from my stash. Used my die cut LOVE #SCD-026. I added a key to the Corrugated heart I made from my stash. I also added bakers twine. Thank you for stopping by it is always a blessing and a Honor . I'd like if you would become anew follower of my blog and I will be happy to do the same for you. it is always nice meeting new blog friends. Your card is so pretty, Dottie. I love the heart framing your photo and the corrugated heart with the heart is a lovely touch. Thanks for joining us on the Simon Says Stamp Monday Challenge.